[Via Satellite 08-06-2014] Orange Niger, a member of the larger Orange Group, has expanded its agreement with Intelsat for cellular backhaul services. 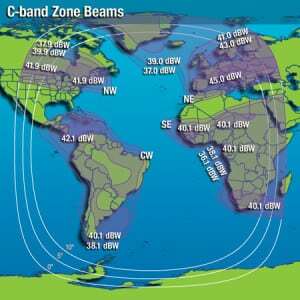 Intelsat, through a new multiyear agreement, is providing C-band broadband capacity, which Orange Niger intends to use for mobile telecommunications and broadband services to corporate enterprises. Once Intelsat’s EpicNG satellite Intelsat 35e begins service in 2017, Orange Niger will be able to switch to the next-gen platform. The contract currently provides service through Intelsat 903 at 325.5 degrees east.